The Sotelo Gomez Family is Home! 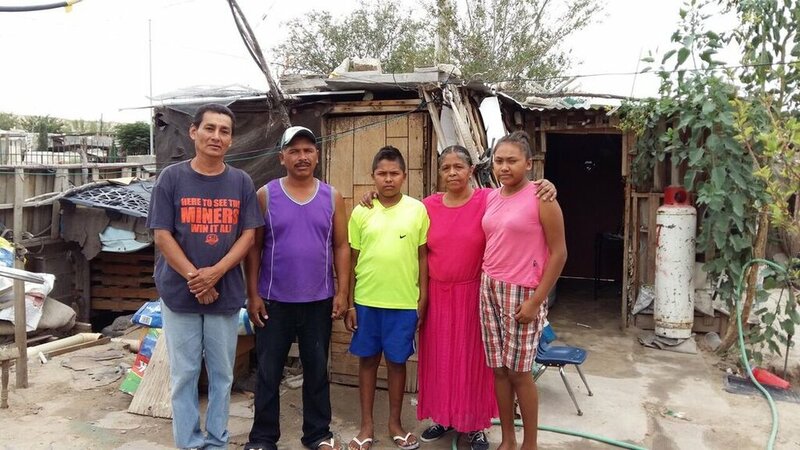 The Sotelo Gomez Family was desperately in need of a new home. The family of of six lived in a two room structure in the neighborhood Rancho Anapra in Mexico. The floor is dirt, the walls are made of poorly constructed of lumber, and they had no outhouse of their own. The Sotelo Gomez's now live in a sturdy stucco home with a concrete floor! The improvement in their living situation is life changing for the parents, Norma and Braulio, and their young children. Newer PostCobos Monteil Family is Finally Ready to Move In! Older PostThe Mendez Ruiz Family is Living in a New Home!